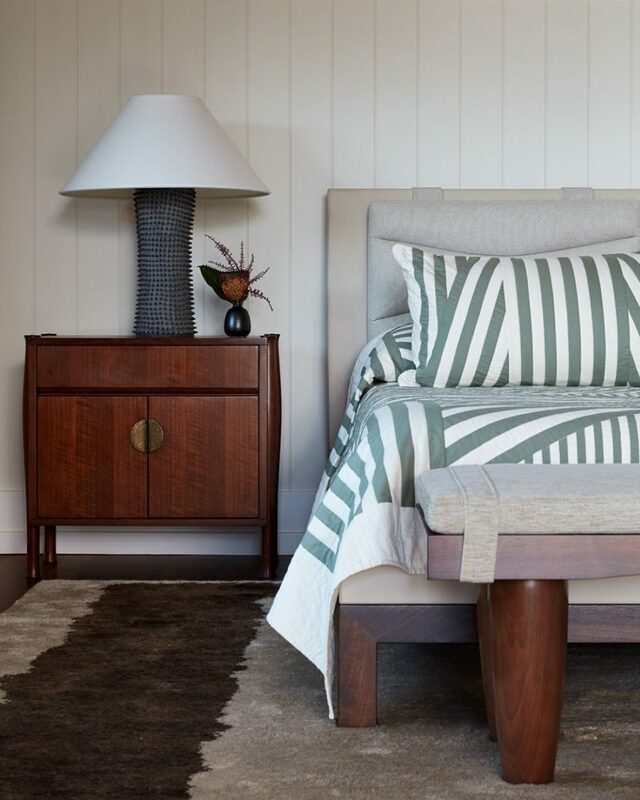 The owners of this home — a West Coast-based jet-setting couple – have a true love of Kauai and all things Hawaiian, desiring a home to match. The result was a classic plantation home with a fresh twist. The arrival experience begins with a hand-crafted afromasia gate guiding visitors into a courtyard garden. 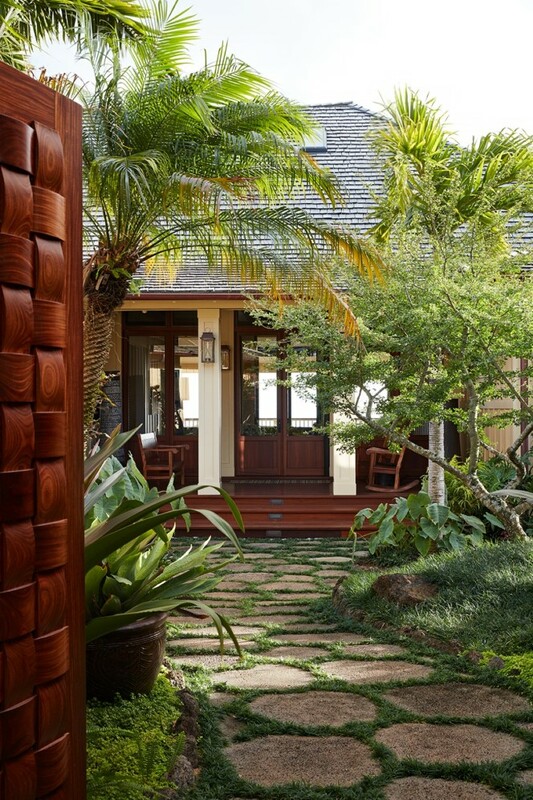 There is a sense of tranquil discovery as one moves towards the entry lanai. 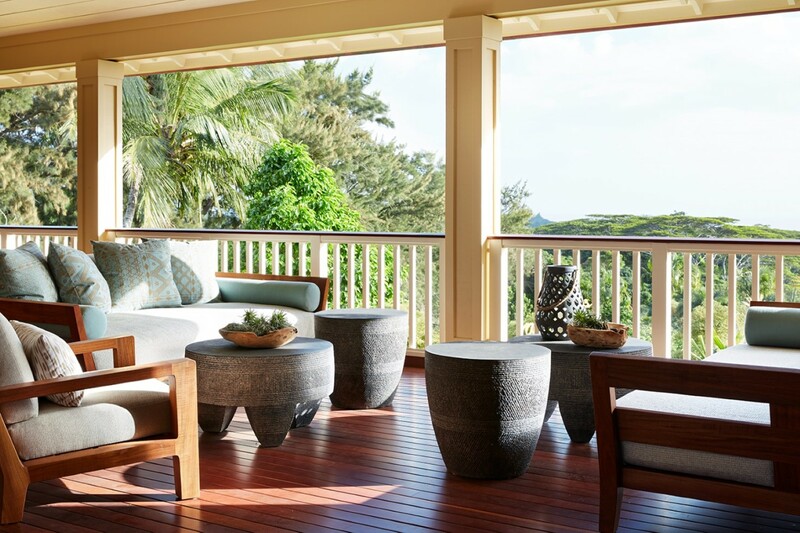 This quintessential island space features koa rocking chairs and large coconut pots. 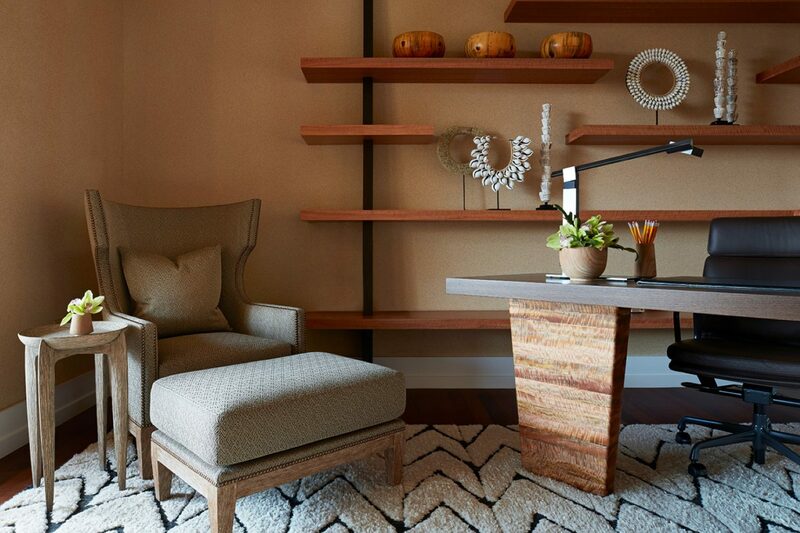 The client’s affinity for art and fine craftsmanship is highlighted throughout the design. 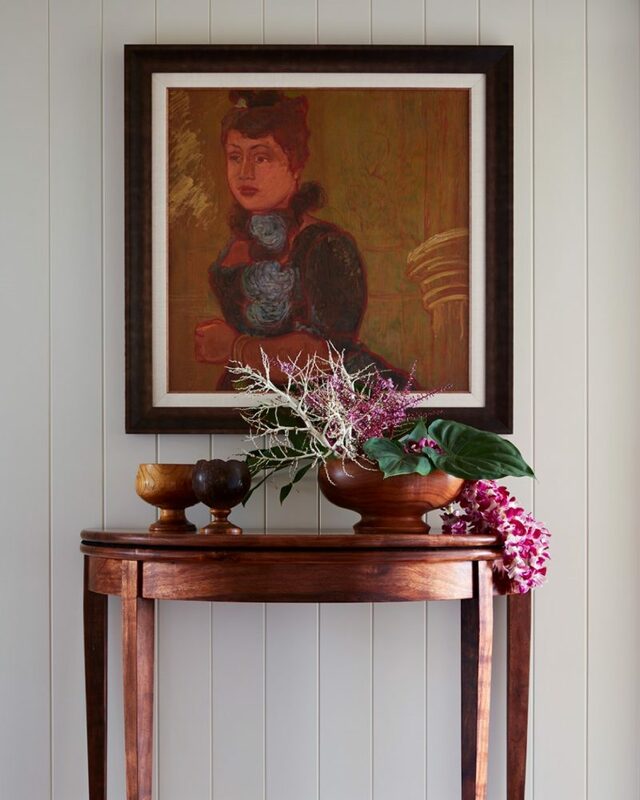 Works from a multi-generational collection of renowned island artists including Yvonne Cheng, Madge Tennent, Abigail Romanchak, and Avi Kiriarty, serve as influential focal pieces throughout the home. 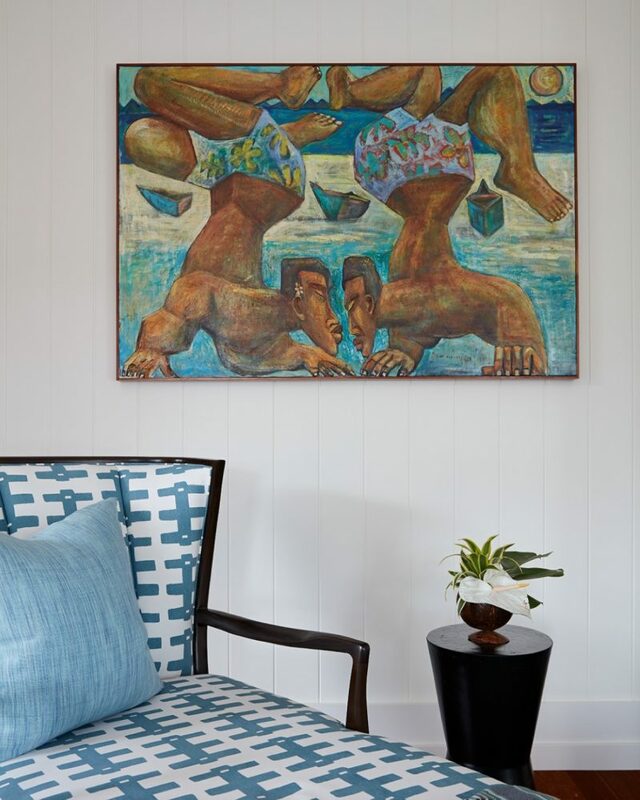 In the living room an Yvonne Cheng painting sets the tone with muted browns and pops of turquoise complemented by island collectibles including calabash bowls, vintage trays and coconut vessels from the 1930s. 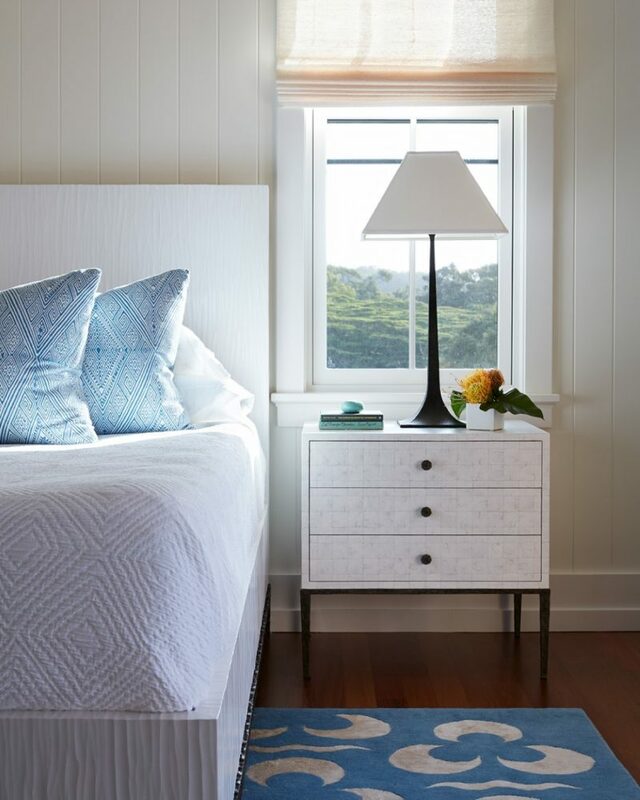 The guestroom’s Avi Kiriarty painting complements the space’s playful and happy atmosphere. 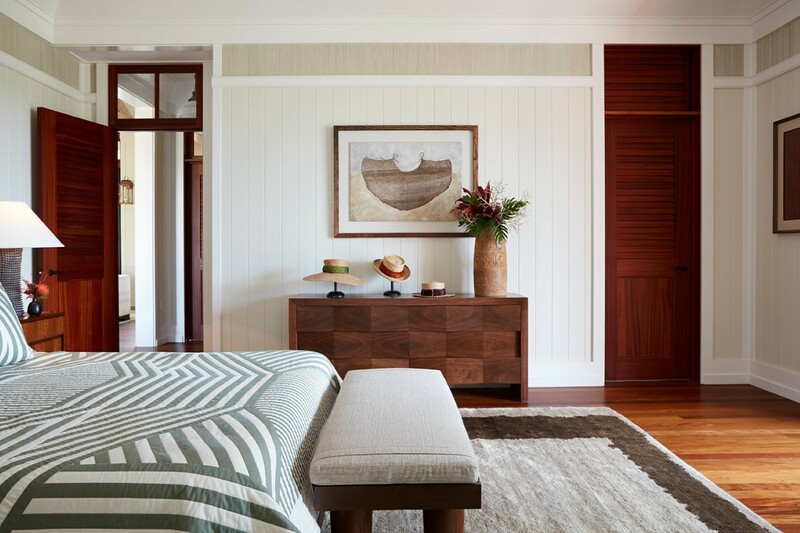 The master bedroom, oriented to frame Kauai’s iconic sunsets over the valley scape below, captures a more modern Hawaiian aesthetic. 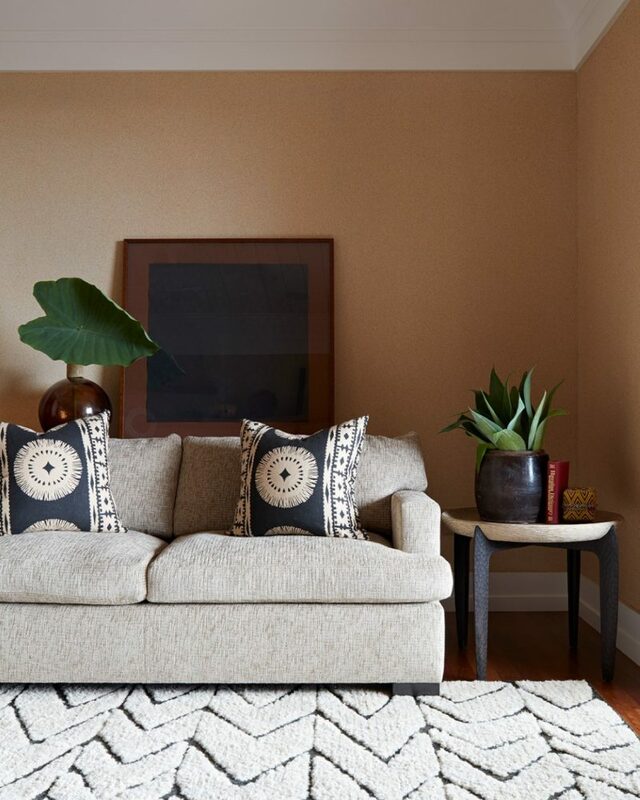 The space feels distinctly masculine in character featuring rich colors, clean lines and an overall sense of thoughtful simplicity. 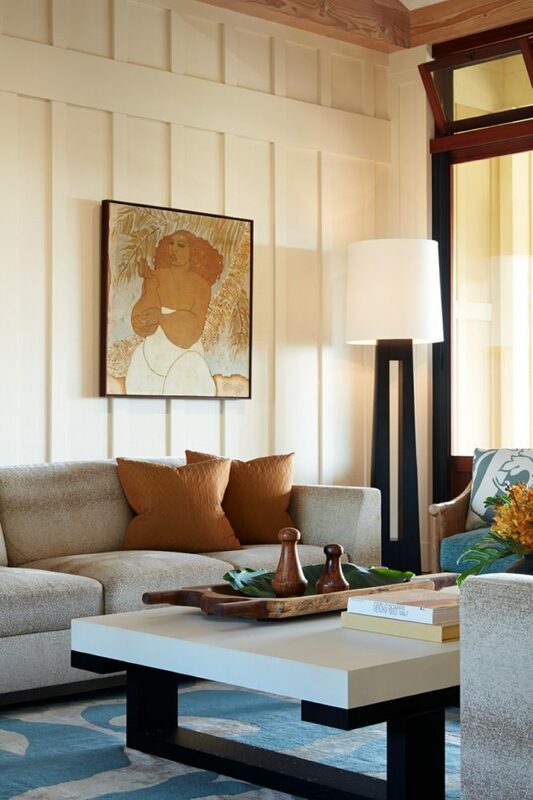 True to tropical living, interiors are designed to seamlessly connect with the outdoors. 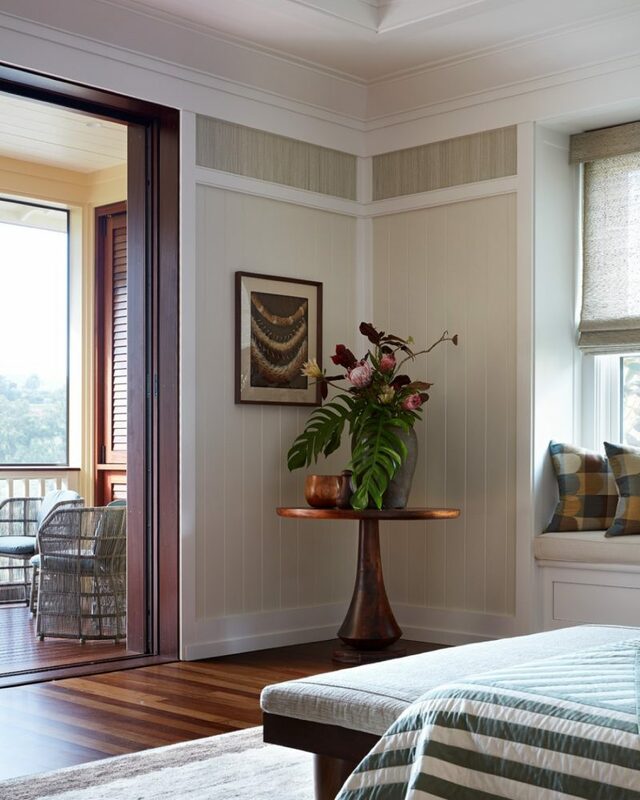 Three large doors fold away connecting the living room with the grand lanai, offering a beautiful view of the Kalaheo hillside and ocean beyond. The classically-designed, functionally-modern kitchen is situated adjacent to both an interior dining alcove and exterior dining lanai. 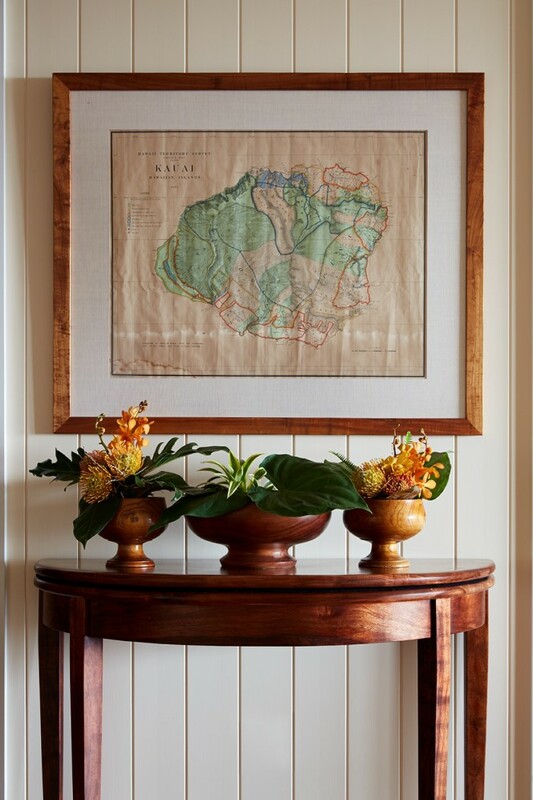 This home is an honest reflection of the owner’s love for Hawaiian culture, arts and craftsmanship, showcasing the grace and beauty that can be found within a simple lifestyle.